Home / Maria Pia Castelli | Stella Flora 2010 | Le Marche Bianco I.G.T. 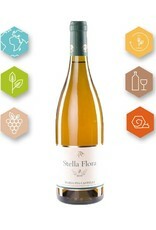 Domain: Maria Pia Castelli, Stella Flora. Classification: Le Marche Bianco I.G.T. 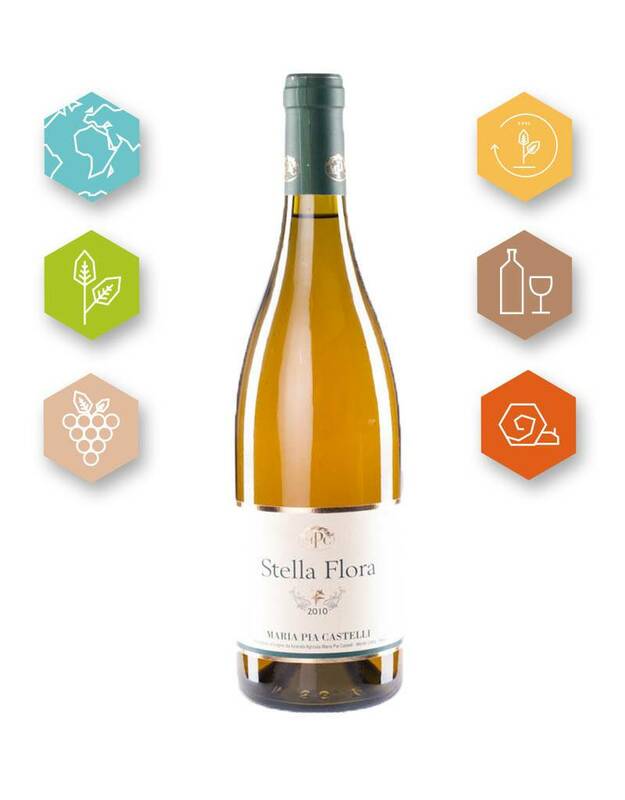 Description: “Stella Flora” is a Pecorino, Passerina, Trebbiano and Malvasia blend that reveals attractive old gold nuances thanks to the unusual cellar technique combining contact with the skins and a minimal addition of sulphur dioxide. 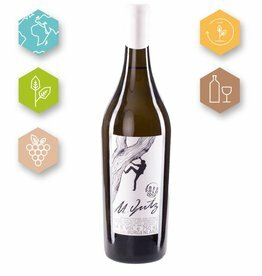 Taste: A dry, full-bodied wine whose palate lives up to expectations, with lavish aromas and a good finish. 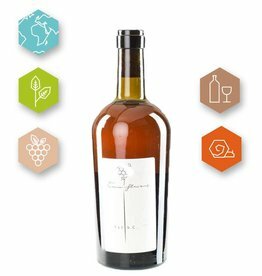 Foodpairing: Recommended with poultry, boiled meats, fish and cheese; also as an aperitif. Serve either chilled or at room temperature.